Each holiday season, the Capitol Hill Chamber of Commerce teams up with the CHS blog to bringing good vibes, holiday cheer and increased traffic to Capitol Hill's highly valued small businesses with our Shop the Hill marketing campaign. From mid-November to the mid-January, Shop the Hill spotlights the local businesses and merchants who make Capitol Hill a thriving and valuable part of the Seattle shopping scene. 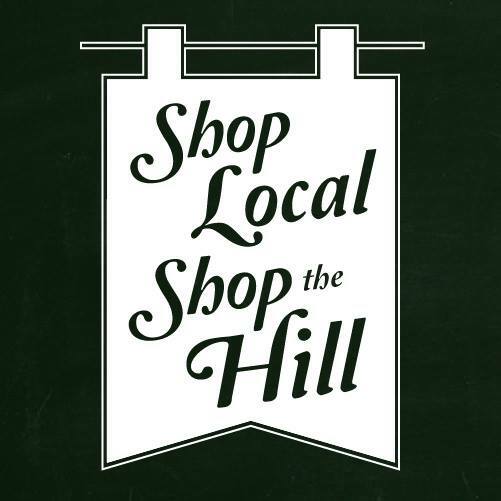 The campaign encourages shoppers to shop local, shop the hill. All season long, Capitol Hill businesses are encouraged to showcase their deals and wares on a variety of social media outlets branded to Shop the Hill. Shoppers are also encouraged to tag their posts #shopthehill. To learn more visit: capitolhillseattle.com/shopthehill or follow Shop the Hill on Facebook, on Twitter @shopthehill and on Instagram @shopthehillSEA.